Now at larger venues, due to high demand! On October 5th, black/death overlords Behemoth will unleash their new album, I Loved You At Your Darkest, upon the world via Metal Blade Records (North America) / Nuclear Blast (Europe). 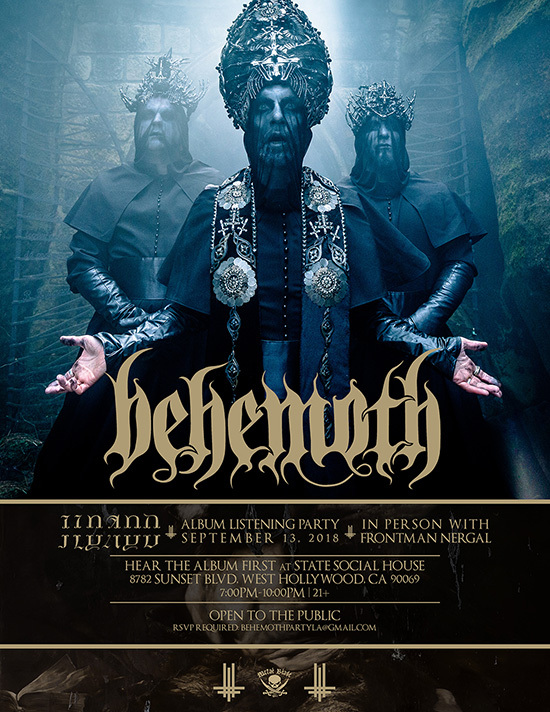 In anticipation of this record’s release, two I Loved You At Your Darkest listening parties will take place next month in New York and Los Angeles – featuring front-man Nergal in-person! 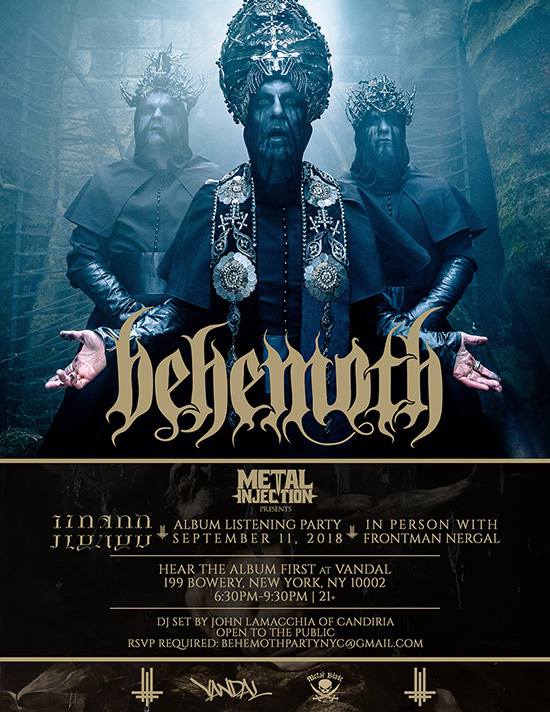 Be the first to hear the album before release date and RSVP now at: behemothpartynyc@gmail.com (NYC – September 11th @ Vandal) or behemothpartyla@gmail.com (Los Angeles – September 13th @ State Social House). Due to high demand, both the NYC and LA venues have been changed, to accommodate more fans. RSVP is still required for both events, but admittance is on a first-come, first-served basis – so arrive early! See event flyers for more details.